Scroll down to learn more about what we're all about. 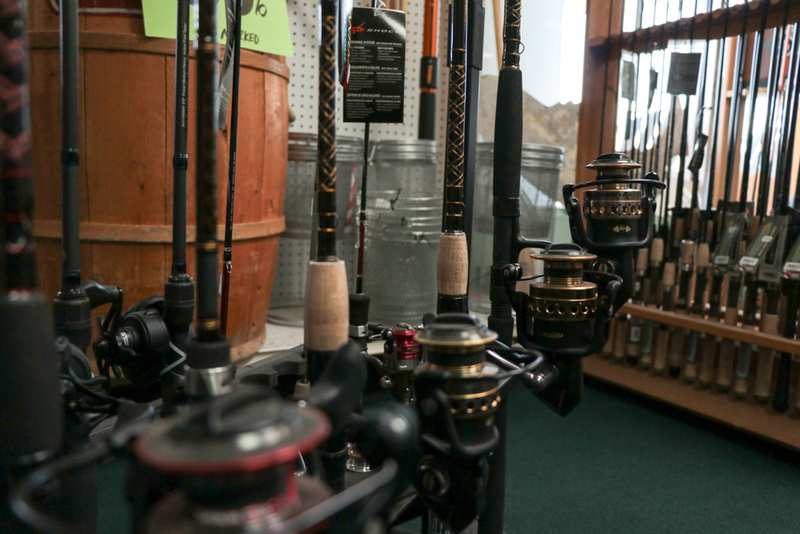 Saco Bay Tackle is a locally-focused fishing shop in Saco, Maine. From manufacturers and small businesses to guides, restaurants and even our UPS delivery man, we've made friends all over New England. Through these great partnerships, we act as a sort of hub for a variety of needs in New England's fishing community. With this emphasis on community, we like to support the little guys just as much as national fishing companies. That's why we acquire as many New England-made fishing products as possible. Whether it’s gear, bait, lures or rods, we have you covered. We offer full reel servicing and repairs for a variety of issues and are also a certified Penn warranty center.